Dean Kamen founded FIRST Robotics in an effort to encourage more kids to pursue STEM fields. 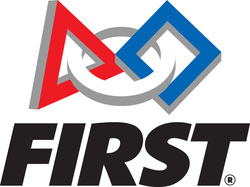 Founded in 1989, FIRST has grown from a small high school competition to a global robotics league, reaching over 300,000 students in grades K-12. Through FIRST Robotics, kids build self-confidence, knowledge, and life skills. The Firebirds are thrilled to join FIRST Robotics as ambassadors in its mission to empower and inspire the leaders of tomorrow.